The owner, Bruce Kirk, started in the renewable energy sector in 2008 when Eskom, South Africa’s sole electricity utility, introduced “load shedding” as a means to manage their capacity deficiency. Solar geysers were identified as a cost effective means of alleviating Eskom’s problems which resulted in huge interest in the solar water heating market. Sadly, the global economic downturn that started in 2008 stifled the growth of the industry and in spite of Eskom’s and the government’s best efforts to promote solar water heating with incentives, the uptake by the public was slow to say the least. This resulted in many of the newly established installation businesses closing down prematurely, leaving their respective clients stranded, often with sub-standard installations and products. This exacerbated the public’s distrust of solar water heating. Solar Focus chose to weather the storm and stick it out due to a passionate belief firstly in the ability of solar water heating and related products to save consumers significant money on their electricity bills, and secondly, a commitment to making a positive contribution to mitigation of the ever increasing threat of Global Warming to our one and only planet Earth. Based in White River, Mpumalanga, we service the entire Mpumalanga Lowveld region but have worked as far afield as the Northern Cape and Botswana. Towns in our region where we have installations done are Nelspruit, White River, Sabie, Graskop, Lydenburg, Barberton, Malalane, Komatipoort, Machadodorp and Dullstroom. Electricity costs money .... and it’s not getting any cheaper. The Sun provides FREE energy that you can capture and use to reduce your electricity bill each month. Yes, there’s an initial capital outlay to install the necessary equipment, but you will recover your investment within as little as 2 years through reduced electricity costs. Your use of electricity supplied by Eskom is contributing to Global Warming, the gradual increase of the Earth’s surface temperature which threatens the very existence of life as we know it on planet Earth. Your decision to make use of solar energy to reduce your dependence on fossil fuel generated electricity makes a positive contribution towards reducing the impact of global warming. You may very well not notice the difference in your lifetime but your children and grandchildren will have good reason to thank you for your contribution. 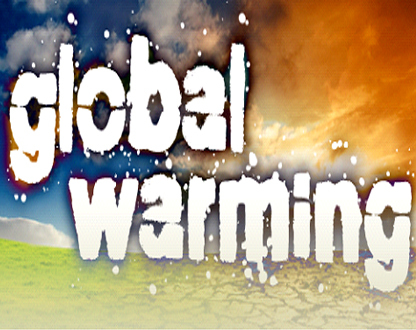 Global Warming, the gradual increase of the earth’s surface temperature, has been conclusively proven to be as a direct result of human activity which increases the levels of Carbon Dioxide (CO2) and other gases in the earth’s atmosphere. The primary sources of these gases are our use of fossil fuels (oil and coal) and our destruction of natural forests which absorb carbon dioxide and release oxygen into the atmosphere. 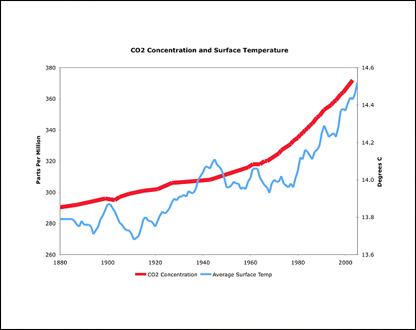 Scientists have established without doubt that the temperature increases over the past 100 odd years are happening at a much faster rate than was the case prior to industrialisation and there is compelling evidence that we, the human race, are to blame. 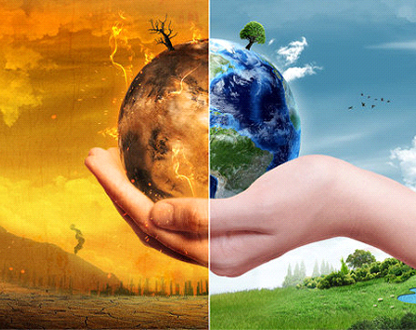 The rising temperatures have dire consequences for our planet and many of the species which inhabit it, including us. Already there are certain animal species that are believed to be extinct as a result of habitat change caused by rising temperatures and our destruction of their natural habitats. The rise in water temperatures in ocean currents is playing havoc with the world’s weather patterns and is responsible for extreme weather events such as hurricanes and tornados on the one hand, and severe droughts on the other hand. Severe storms are becoming more frequent with more destructive power behind them. Droughts in arid regions are causing desert areas to spread. We see this in Southern Africa as the Kalahari Desert slowly moves southwards. On the eastern side of our country we are seeing more frequent flash flooding as a result of tropical storms over the Indian Ocean. Tornados have been reported in eastern South Africa in recent years – unheard of until just a few years ago. Higher global temperatures are responsible for the shrinking of the Arctic and Antarctic ice caps, and the resultant habitat destruction for species such as the Polar Bear. The melting of ice caps and glaciers is causing the sea water level to rise. Already there are some low level islands on earth that are shrinking in size as the sea level rises. The Seychelles, for example, will cease to exist if we, mankind, do not take immediate and aggressive action to reduce our CO2 emissions in the next decade or two. Agriculture will be severely affected by climate change. Southern Africa, in some opinions, will be an agricultural wasteland by 2050 if action is not taken soon to contain global warming. As the owner of Solar Focus, I implore you to do the right thing and take the first step to reduce your personal carbon footprint right now – not for your sake but for the sake of your future generations. There isn’t any time to waste.